Never put the keys to your success in someone else’s pocket. Instead, take responsibility for the things YOU can do and learn from other how you can do them better. When I first got started in marketing, video training courses and books became my best friends. I noticed that for each result I wanted, that there were many ways to get there and many “gurus” that could help. And, the more I read, I noticed there was countless other ways to be successful in growing and marketing a business. But, there were a few things that stayed the same from each book I read, or each video I watched. 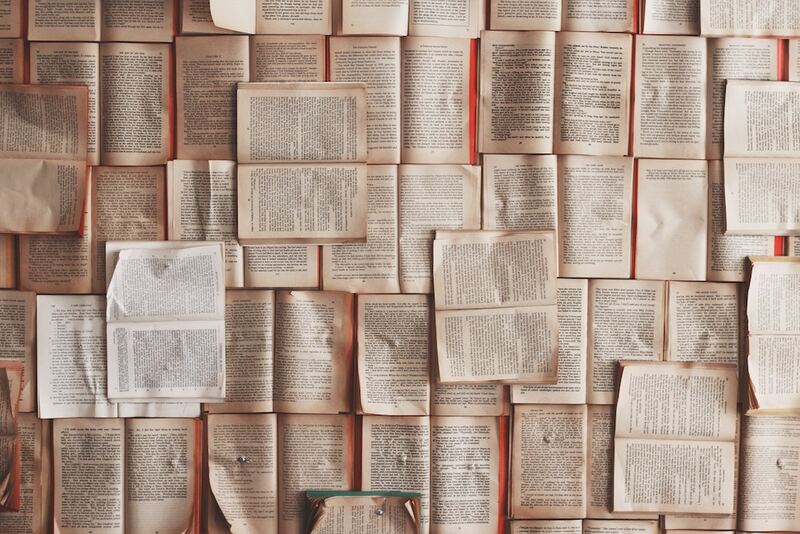 These are some of my favorites books that share the fundamentals of marketing; so whether you’re look for a fresh source of inspiration, education, or just plain entertainment, consider checking these out. There are tons of great titles out there, but these have been really meaningful to me. Reading this book was probably the first “entrepreneurial” book I’d ever read and it taught me that I could live and work on my own terms. Here’s a little about the book from Amazon..
From corporate life to teaching high school to sales, to information marketing, consulting, and even virtual service provider, Carrie Wilkerson has been there and done that professionally and personally. As “The Barefoot Executive,” Carrie Wilkerson has quickly become the definitive resource for helping others achieve extra income and career goals while working from home and keeping their priorities intact. She is a mentor coach advisor to more than one hundred thousand men and women as The Barefoot Executive through videos, podcasts, masterminding, mentoring, and live speaking. Not only a business expert but also an expert in business, Carrie’s work-at-home methods have inspired thousands and have earned many awards, online and off.Her passion is in teaching others to “Fill their Stadium” with fans so that marketing is easy and business is abundant.She lives outside Fort Worth, Texas, with her family. If you’d like to pick it up from Amazon, just click here or use the link below. Dan is known for saying, “if you haven’t offended someone by 12 noon, then you aren’t marketing hard enough.” This type of saying makes most of us feel uncomfortable because we don’t want to offend or come across as pushy. The neat thing about Dan and his books is that he teaches a way to come across as genuine and authentic. If people don’t like you when you’re genuine and authentic, maybe you shouldn’t want to do business with them. Internationally recognized “millionaire maker,” Dan S. Kennedy, joined by entrepreneur and financial consultant, Matt Zagula, show you how to break down the barriers caused by the “trust no one” mantra invading every customer’s mind today. They deliver an eye-opening look at the core of all business—trust, and teach you the secrets to gaining it, keeping it, and using it to build competitive differentiation, create price elasticity, attract more affluent clients, and inspire referrals. You’ll get the essential strategies required to build trust in an understandably untrusting world, and in turn, attract both business and profits. Russell learned from Dan (see above) and many others, but has somehow made himself very accessible and ubiquitous for how much of a ninja marketer he is. In his book, he does a good job of giving practical ways to communicate and market your product or service. What are some of your favorites? I’d love to hear them — especially if you’re in a season of building a business through marketing. Leave a comment below!